DC Comics has provided ComicBook.com with an exclusive preview of Green Lantern #50, due in stores Wednesday from writer Robert Venditti and the art team of Billy Tan and Mark Irwin. More than twenty years after his first appearance in Green Lantern #50 (...wait, what? 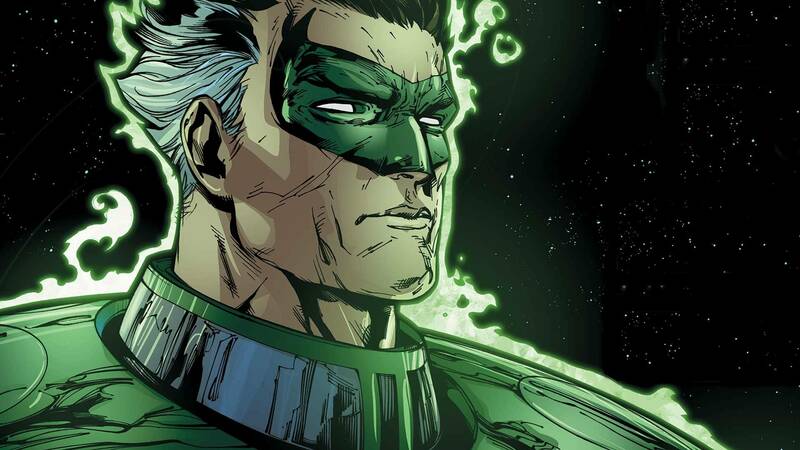 !...oh, reboots...), Parallax returns to menace a new generation of Green Lantern -- which is actually an older generation, since the Parallax in question is an older Hal Jordan, unhappy with the performance of his younger self. As Rocky told Adonis in Creed, "it's you against you." Confused yet? Check out the solicitation text and preview pages below. The issue also features, as you can see below, a cover that feels evocative of the Tony Harris cover from the first Green Lantern: Emerald Twilight graphic novel, which collects both the previous Green Lantern #50 and Green Lantern #48, the first pages of which these preview images echo closely.